You never tire of saving time and money, so welcome to Tires By Web, your first choice when you are ready to experience the convenience of shopping through an online tire retailer. Here, you can find exceptional prices on some of the best tires in the industry - with FREE SHIPPING as another benefit. Whether you need snow tires, high-performance racing tires, or are looking to customize a tire package complete with rims, Tires By Web has you covered - and you need not visit a retail shop and spend both more time and money. 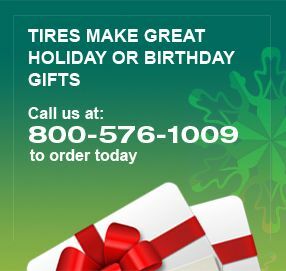 Tires By Web is your source for all of your tire-buying needs. We offer Nokian Tires, Snow Tires and Winter Tires at discount prices, as well as KMC Wheels, Helo Wheels, Moto Metal Wheels, XD Wheels, Vredestein Tires, Wild Country Tires and more. And did we mention the FREE SHIPPING!? 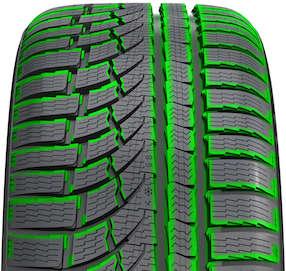 Nokian Tires are the leading, top-quality snow tires and winter tires in the industry. Nokian Tyres produces the Nokian Hakkapeliitta family of performance tires, light truck tires, snow tires, and winter tires for all types of vehicles. Nokian Tyres is the expert in Nordic conditions, and develops safe tires for changing conditions while adhering to green, environmentally focused values. The Nokian product line includes summer and winter tires for cars, SUVs and vans, as well as many other applications, including heavy tires for agricultural and industrial applications. Nokian Tyres is the only tire manufacturer in the world that focuses on customer needs in northern conditions. Tire performance faces special challenges in these regions: snow, forests and harsh driving conditions in different seasons. Nokian Tyres product development consistently aims for sustainable solutions for safety and the environment, taking into account the entire life cycle of the tire. They also produce one of the only true All-Weather Tires in the world, the Nokian WR G4. Our Snow Wheels are made of steel, which is great for winter tire and wheel packages. Tires By Web is proud to offer American Racing Wheels and Rims due to their heritage of high-quality, time-period-correct custom wheels, rims and other products. American Racing Wheels and Rims started in the late 1950s when the original five-spoke American Racing Torq Thrust wheel was introduced. It is considered by many to be the most famous vintage rim and hot rod wheel of all time. Now, more than 50 years later, American Racing Wheels continues its tradition of excellence in period-correct and custom wheels for hot rods, muscle cars and restoration applications. While you already know Tires By Web provides the latest styles from American Racing Wheels, American Racing Custom Shop Wheels and American Racing Vintage Rims, did you know we also carry Helo Wheels, KMC Wheels, Moto Metal Wheels, and XD Wheels? 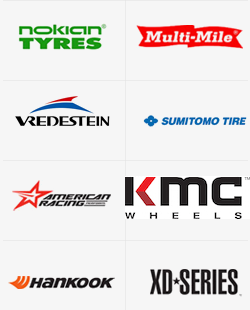 No matter what your tire needs may be, we are the online tire retailer you need for the best tire prices and selection. Contact us today for more information or to start on your custom tire and wheel package with the help of our knowledgeable team.